Why choose Crown Tiles for your floor tiles? 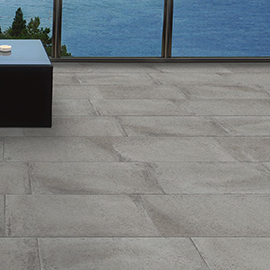 We are committed to bringing you only the best tiles, and don’t compromise on form or function. Our floor tiles are selected for their strength and stunning motifs. We offer tile accessories, including grout and tools, for you to complete any job. With our online tile calculator, creating your dream home is now easier than ever. 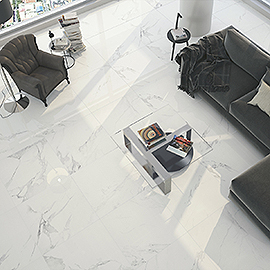 We stock the best tiles at competitive prices, with flexible delivery. 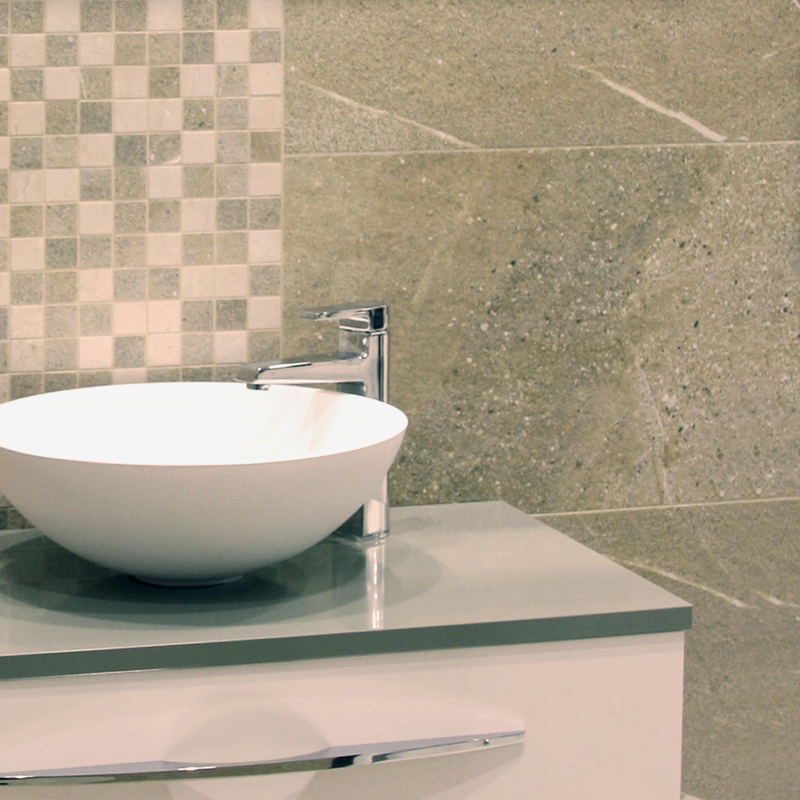 We offer a sample service where you can order up to 4 10cmx10cm tile samples to ensure you make the right choice. We aim to deliver these on a next day service to allow you to get your tiling project underway as quickly as possible. 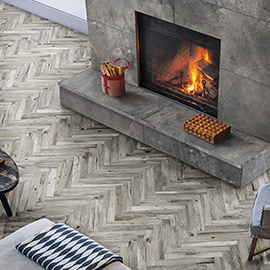 If you’re planning a renovation, new floor tiles are the perfect way to give your home an instant refresh. 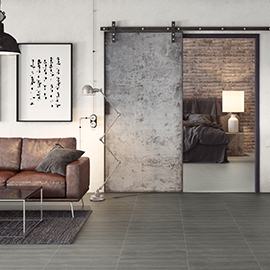 It can be easy to overlook the importance of new tiles, but walls and floors make the biggest difference to the look overall look of a room. Want the look and feel of natural timber in your home without any of the maintenance? Consider wood effect floor tiles. 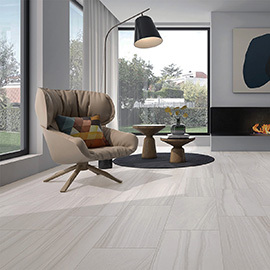 The appetite for using porcelain wood effect tiles in the home is growing, and it isn’t hard to see why. 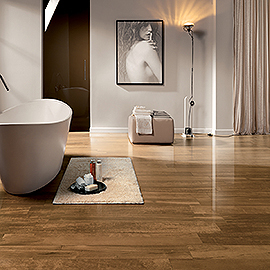 Well-made wood effect tiles are indistinguishable from real wood with the bonus of being water and stain resistant. Feeling bold and want to add character to a space? 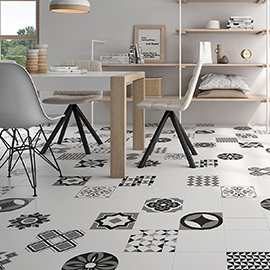 Patterned floor tiles are the perfect way to do just that. Arabesque and Moroccan patterned tiles introduce the influence of sunnier climes to a home, while traditional Victorian prints are an interior design staple. 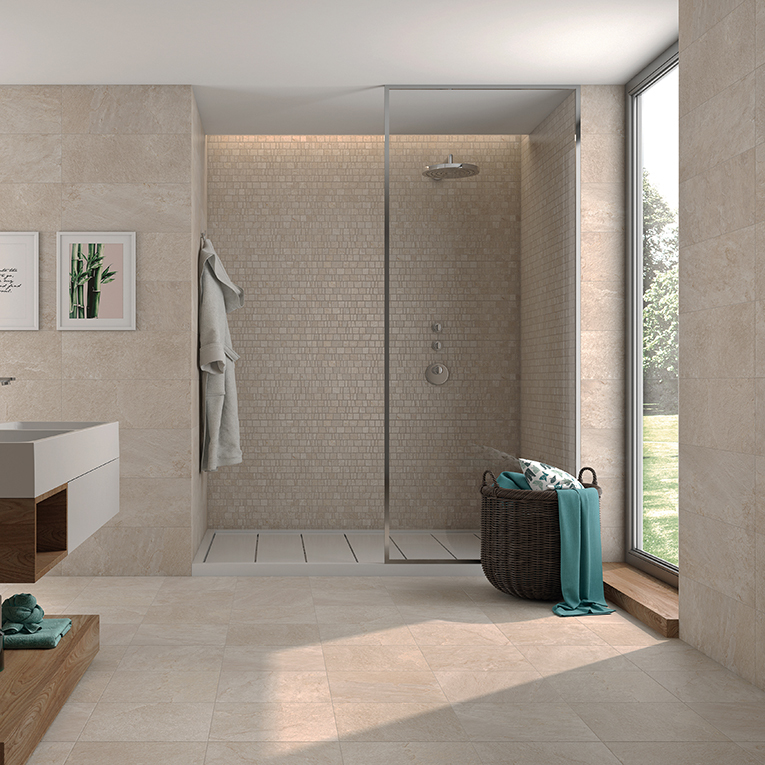 With their unpredictable colours and textures, natural stone tiles are a stunning design feature. 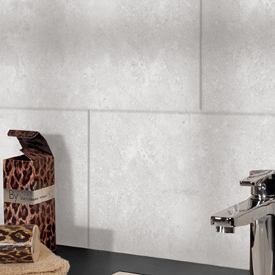 Natural stone’s idiosyncrasies are a perfect complement to the clean geometry of modern interior design. Matching interior and exterior stone tiles draws the eye beyond the threshold of your home and makes any room appear much larger. 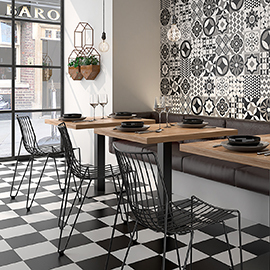 You can even mix and match our tiles to create designated zones in open plan spaces. The variety of our range, and our competitive prices, means that your home improvement opportunities are limitless.